Childhood obesity has become a major public health problem in Australia. The number of overweight children has increased in recent years, with one-quarter of Australian children considered either overweight or obese. What's more, 1 in 5 preschool children aged between 2-4 years were overweight or obese in the latest Australian research on childhood obesity. Preschool obesity, in particular, is said to be a public health burden at the cost of $17 million annually. And the potential health problems stemming from childhood obesity are severe, including type 2 diabetes (already diagnosed in children), liver problems, respiratory disorders and eating disorders. Many factors have caused children to become overweight or obese. Societal changes has significantly contributed to obesity, including people becoming less active and engaging in more sedentary pursuits. For example, Australian children are watching, on average, around 2½ hours of television a day, as well as spending time using computers and other electronic games. It seems that these pastimes are replacing active ones. So what can we as parents/carers do to help our children become less sedentary and more active? 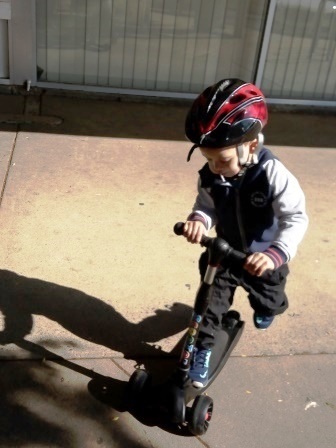 Here are nine ways how we can help combat childhood obesity in Canberra. You and your kids can go for regular walks during the week around your neighbourhood or a nearby local nature reserve. Canberra has plenty of walking trails for you to go rambling on from easy, flat ones and moderate trails to the more challenging ones. Go here for a list of self-guided walks around Canberra. Also check out these walks in Tidbinbilla Nature Reserve. And don't forget you can walk around our lakes (Lake Burley Griffin, Tuggeranong and Ginninderra), as well as the Australian National Botanic Gardens, the National Arboretum, Jerrabomberra Wetlands and Mulligans Flat Woodland Reserve. There are so many wonderful places to walk in Canberra. 2. Get on your bikes. Canberra is not only a great place for walks; it's also a great place to ride your bikes! 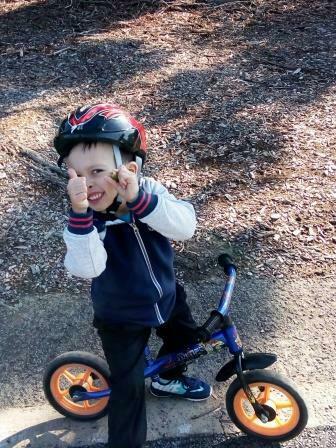 My preschooler loves riding his bike around our neighbourhood. There are also Learn to Ride centres in Tuggeranong and Belconnen which are safe, fun spaces for children to learn cycling skills. And Stromlo Forest Park at the base of Mount Stromlo has a safe, fenced off children's play area with bike paths for your preschoolers to practice on. 3. Head to your local playground. An hour or two or more of swinging and sliding and rocking and tumbling about is a sure way of keeping your preschoolers active! 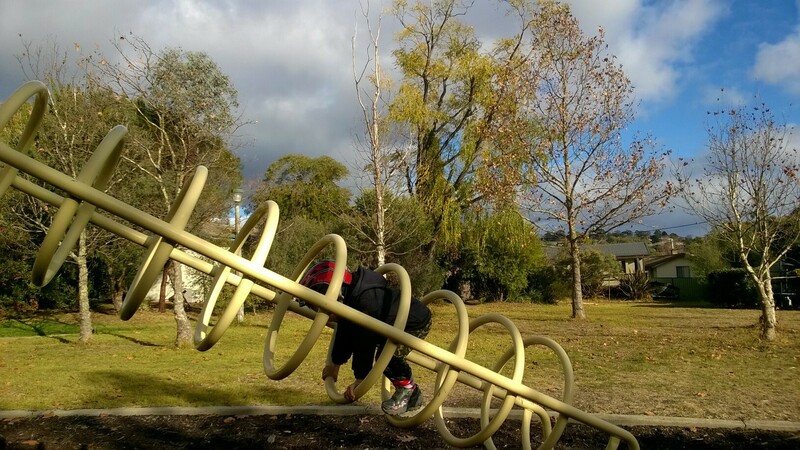 Here is a list of all the different playspaces across Canberra. 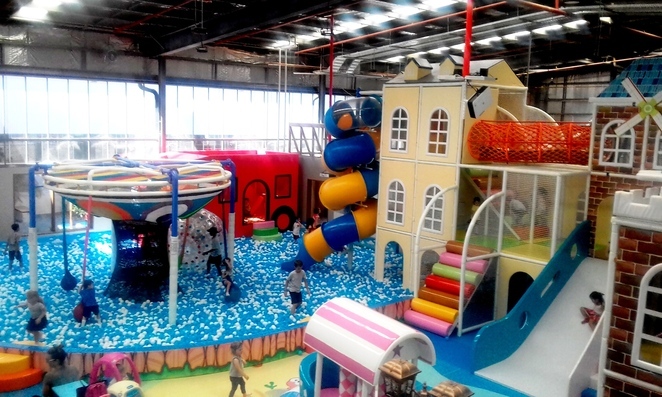 And if it's a rainy day or any kind of day, then you can also go to an indoor playground such as the one at Lollipops Playland and Cafe, Monkey Mania Fyshwick, Kidcity, Kidzplore, Inflatable World at Kambah and Flipout in Hume. We live in a country that spends a lot of its time in the water, even for those of us who live in landlocked Canberra. Swimming is a quintessential skill for all Australian children. There are a number of swimming schools for children across Canberra that offer excellent learn-to-swim programs run by qualified, nationally accredited swim instructors in safe, supportive learning environments. Go hereto find a swim school near you. 5. Enrol in a gymnastics class. Gymnastics is a great way for kids to get active and fit. Gymnastics develops the skills of fundamental movement, confidence and competence, and it provides the foundation for future sporting success and lifelong, active and healthy participation in physical activity. There are several gymnastics clubs across Canberra with nationally accredited gymnastics programs and qualified coaches. Read my article hereto find out more. Blueberries dance is designed for children aged 21 months to 4 years of age and gives your child a fun, engaging and all-rounded dance foundation through its unique blend of modern dance tuition with music and drama. Three styles of dance are taught: Jazz, Ballet & Funk, and yoga-lates (a combination of yoga and pilates especially designed for children). Another excellent dance program for young children is run by Lucy Sparkles Lucy Sparkles offers dance, music and drama classes and workshops for young children across Canberra. There's also Gumnut Dance and Legsdance Performing Arts Centre. Ready, Steady, Go Kids is a multi-sport program for children aged 1.5 to 6 years. 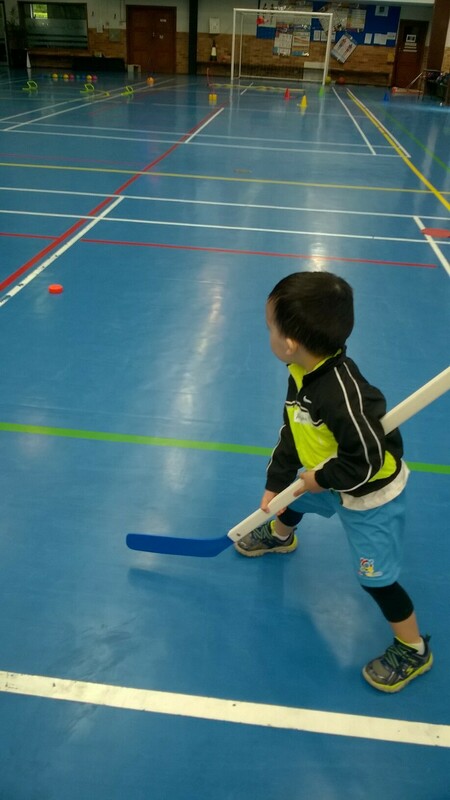 The program teaches children the fundamentals of 10 different sports and develops essential motor skills in a fun, non-competitive environment. Sports include hockey, golf, AFL, cricket and athletics. For further details, go here. 9. 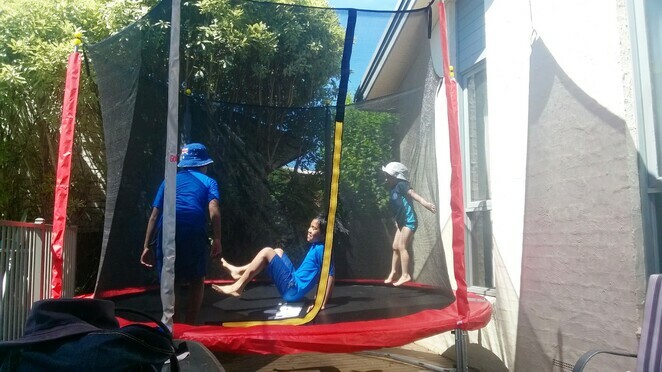 Let the kids play in the backyard. Use your backyard for active play! Let the kids run around, create a simple obstacle course for them, play on any playground equipment you may have, jump in the pool if you have one, or jump on the trampoline if you have one. If you can't get the kids to a park or playground or class, then the backyard is the perfect place to be active and play. 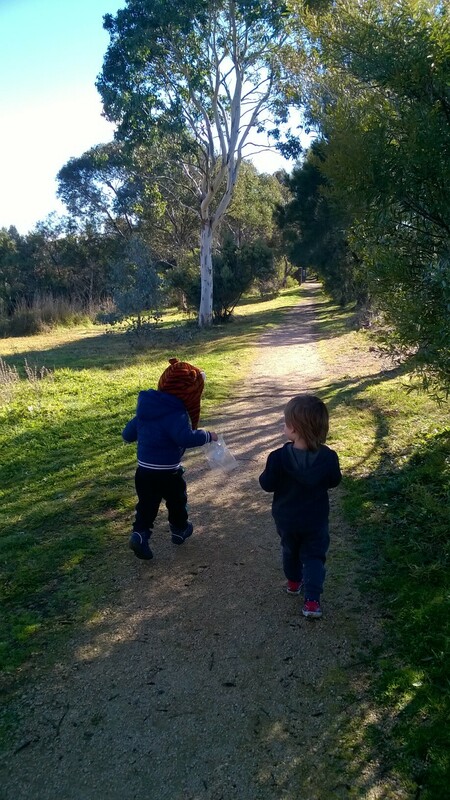 So parents and carers of preschoolers in Canberra, stop reading this article, switch off your phones, switch off your computers and televisions, let's head on outside and get our kids moving! Why? Because childhood obesity is an increasing problem in Australia and keeping our kids active is one way of tackling it! When: Every day of the year! Cost: From free to fee-paying classes. Please see individual organisation's webpages for more details.